Thinking of starting your own online range? Already crammed with ideas? Let’s implement them at your website but before that, here are few tips that will come in handy. Online sites are entirely different from other websites that are there to provide only the information. Yes, you read it right! Running an ecommerce store is not easy where the business goal is to bring in sales and earn profits. To wobble in the awesome revenues, few rules are to abide by in a cool manner. Don’t know what are they? 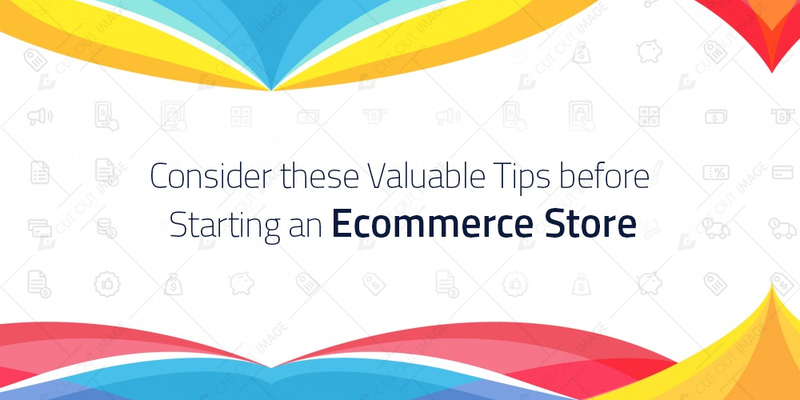 Not to fret, I will walk you through some tips before building an online store and make the browsing experience the best. Yes, it is important to think like a shopper. Would you ever want to buy things from a cluttered or messy site? Of course, not! Keep a clear perspective to display a store that everyone loves to explore. Because the shoppers don’t have the option to walk in your store, you should create an illusion of a real store in a bid to make them comfortable. Online shopping is an awesome spree that may or may not be liked by everyone out there. It is still a scary thing for many as not everyone can decide by just looking at the screen. Add high quality images, detailed product descriptions, and videos to showcase the product on a better platform. Many ecommerce stores face a debacle and for that, they are themselves responsible but not every time. Buyers just want to see everything perfect and in place, so why not understand this phenomenon and move on accordingly? The very first thing that comes in the notice is the homepage banner and the layout. Think about it and work on the homepage elements to leave an everlasting impression on the minds of the viewers. Add a slider that will display the hottest selling items, best sellers, and deals. It will encourage people to buy easily from amongst that section so make this section a show-stealer. Never make it too hard for the buyers to explore the whole site to search their favorite product. Let them jump to that particular product through the awesome navigation access and make shopping a hassle free experience. Add a filtered menu according to the product, color, size, brand and type etc. This way it will be easy for the viewers to look what they want. Never forget adding a search bar to let the viewer search his product if he remembers even a bit of the product’s name. Professionalism is the key to success and for the ecommerce stores; the checkout page is the best getaway to earn customers. People are in a real rush when they come to the checkout page and no one wants to wait for hours to fill in the lengthy forms. Create a clean and clear page that boasts its look and feel where the customer feels genuine. Add the return and exchange policy and also the shipping rules in a quick note for the customers’ ease. Ecommerce stores are successful only when there is no hidden cost behind the return policy. Offer a free return to the customer to alleviate the sales as it will not cost you much to arrange a pickup. Rather, bothering the customer to return the package can push him away from future shopping at the store. Make it all clear and ease the customer’s mind by mentioning a detailed return policy in a different page other than the checkout. Want to grow your business like a house on fire? Spread your brand’s worth through social media channels and shout out loud to the prospective customers that you have the crown at your head.